Virtual Reality technology allows users to be immersed in another environment. It continues to grow in popularity and is expected to be a 200 billion dollar industry by 2022. 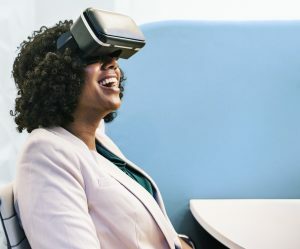 Libraries can use VR to enhance current programming and to offer new opportunities for patrons to experience the world. This PLAN Quick Class will answer some very basic questions about VR: What is it? How much does it cost? What equipment and software do I need to get started? How are libraries using this technology? Robin Shader is the director of the Northwest Regional Library System, which consists of Bay, Gulf, and Liberty counties and is headquartered in Panama City, Florida.